Can I Keep my UV Filter on When Dosing Nualgi? No, you should turn off the UV filter when dosing Nualgi. UV filters are designed to kill certain parasites and harmful bacteria. Unfortunately, they also kill beneficial bacteria, microbes and diatoms in the water column. Nualgi is designed to create a healthy biological cycle by feeding friendly diatoms and growing beneficial organisms; the UV filter interferes with this process. So, fear not—you can safely turn off the UV filter and let Nualgi work its magic! You may have to be patient, though. While some ponds clear within a few days, others can take several weeks. 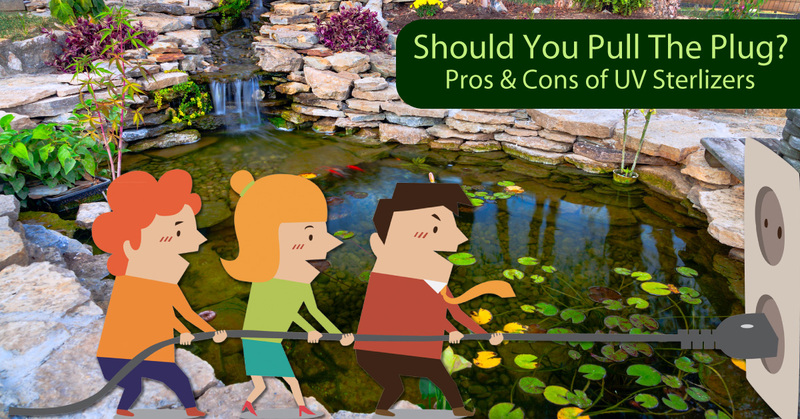 Results may not occur overnight, but soon you’ll have a pond that’s sparkling and clear. ← Can I Keep my UV Filter on When Dosing Nualgi?